I forgot to post this the day it ran. Another Breakfast Topic of mine that WOWInsider purchased. They actually bought 2 of my ideas but the second one hasn't shown up yet. This Breakfast Topic has been brought to you by Seed, the AOL guest writer program that brings your words to WoW Insider's pages. We are now a good 6 months into guild achievements. As a guild leader, I think the concept, as executed, is great. Although we're casual and we run all content, trying to get certain achievements has provided us with incentives to level toons, level professions and to work together. Every week, I post to the guild web site, a tally of what we're working on and how far along we are in finishing an achievement. Doing all the Burning Crusade heroic 5-mans made people run the regulars to get enough honor to get their keys. People went into instances they didn't know existed. Attendance at our retro raid nights spiked when we announced that we needed this run for the guild achievement. We're small so the 25-man achievements will probably elude us, but people take a look at what still needs to be done and they help make it happen. I'm very proud of how we have worked together. My little guild has more achievement points than larger guilds at higher levels than us. We downed Algalon. We cleared ToGC. We're three reputations from United Nations. All of those are sources of pride. But, the achievement we are most proud of is Crittergeddon. That's right. Standing around in the Ironforge tram killing rats and watching the counter tick has become the stuff of guild legends. We spread out at all the spawn points and just went at it. 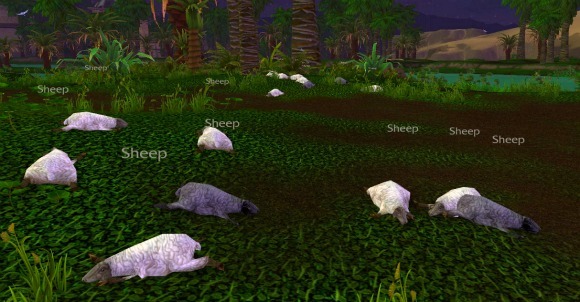 We ran two guild events just to systematically clear sections of Azeroth of their critters. Almost everyone tracked the totals. One of my mages would pour herself a drink and spend an hour 2 or 3 times a week just kiling rats in the Ironforge tram. For that final push, we had toons of all levels and when the achievement came up, we were all cheering. So, while I am proud of our dungeon and raid achievements, our gathering and cooking achievements and all the others we have done, I am most proud of how much fun we had, the jokes, the laughter that killing rats for a silly achievement provided. What guild achievement are you most proud of? Is it downing that one final raid boss who had eluded you for weeks before? Is it getting all the professions to the achievement levels? Is it killing 100,000 of the other faction? Which one do you look at and feel very proud to have accomplished?